The National Human Rights Action Plan was launched on 9 December at the Windhoek Country Club Resort and His Excellency, Hifikepunye Pohamba gave the keynote address at the launch. His Excellency said that the fundamental purpose of an Action Plan is to improve and safeguard the promotion and protection of human rights in the country, for this reason, the challenge to improve human rights observance must be shared by all. 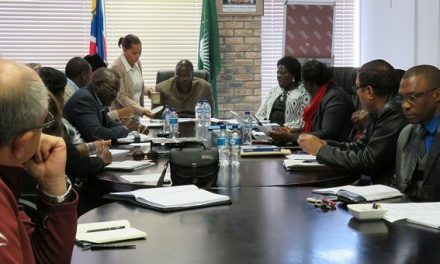 “However, it must be recognised that many elements of the programme of activities articulated in the Action Plan may not be put in place overnight,” he added. “It is my considered view that any planning exercise should embrace the values of broad-based and comprehensive consultation process involving all relevant key stakeholders,” he stated. He also said that this holistic approach ensures that the necessary human and financial resource requirements are met to realise the deliverable outline in the plan. Advocate John Walters, Ombudsman of Namibia and President of the International Institute of Ombudsman said that no country has a perfect human rights record, including Namibia. 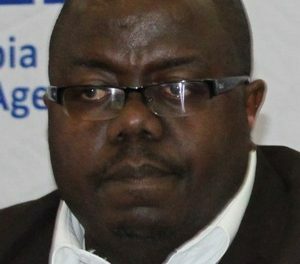 “We acknowledge that we face a number of imperfections, gaps or challenges, but we realise that to address them we need a national plan, national in the sense that it will address the human rights concerns of all Namibians in a coherent manner and which will be owned by all Namibians,” stated Advocate Walter. Advocate Walter also said that the national human rights action plan gives expression to the most urgent challenges identified in the needs assessment. “These challenges drew attention to themselves and they are the right to health, the right to education, the right to housing, the right to land, the right to water and sanitation, the right to access justice and the right to non-discrimination, focusing on vulnerable groups,” he explained. He said that the national human rights action plan should be seen as a commitment to the objective of “better standard of life in larger freedom,” set for in the Charter of the United Nations. “We are celebrating International Human Rights Day with the launch of the Action Plan and we will annually celebrate it with the achievements of the plan,” stated Advocate Walter. The national human rights action plan should be seen as our commitment to the objective of “better standards of life in larger freedom” set forth in the Charter of the United Nations. We are celebrating International Human Rights Day with the launch of the action plan and we will annually celebrate it with the achievements of the plan.